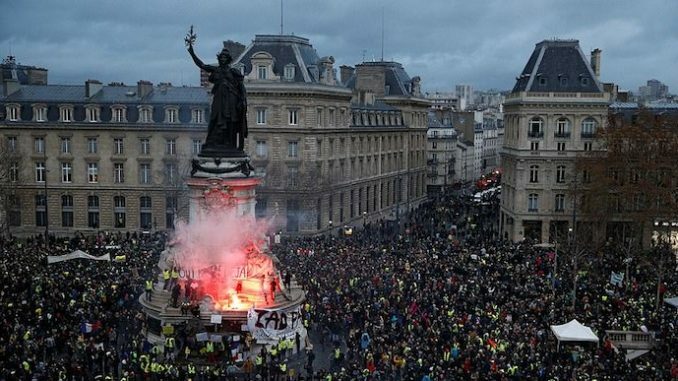 Citizens across Sweden have begun rising up to protest globalism, in solidarity with hundreds of thousands of French protestors. As the anti-globalist movement continues to sweep across Europe, the people of Sweden took to the streets of Stockholm over the weekend, protesting the UN Migration Pact. Voiceofeurope.com reports: Plenty of Swedish flags, placards and yellow vests were seen. children participated as well. “We are not extremists. We are ordinary Swedes”, shouted the protesters. Reblogged this on The Most Revolutionary Act.